First things first, in Spiritism we really hesitate to call places “haunted”. As a philosophy it has always sought to create calm, rational adherents, who are able to approach the spirit world with peace of mind rather than fear. One of the big questions that came up for budding Spiritists early on was that of haunted places, and whether we should be afraid of such locations. Allan Kardec in The Mediums’ Book encourages readers to rationally think through what exactly goes into a haunting. What is present? How is it affecting you or the family who lives in the place? And how are you able to help resolve the issue? There are many approaches to hauntings that we can look at through the lens of Spiritism, but below are just a few mentioned in detail in chapter nine of The Mediums’ Book. 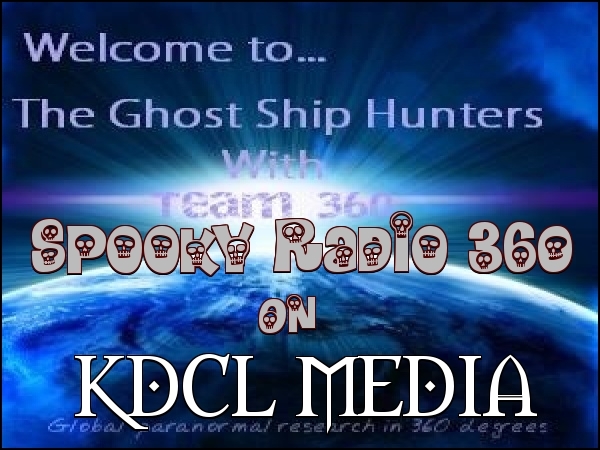 Saturday, February 22nd, 9am est and 3pm cet, Captain Rob McDonald steers the Cyber Flag Ship of Ghost Ship Hunters 360 into home port with his guest Debra Lynn Katz. 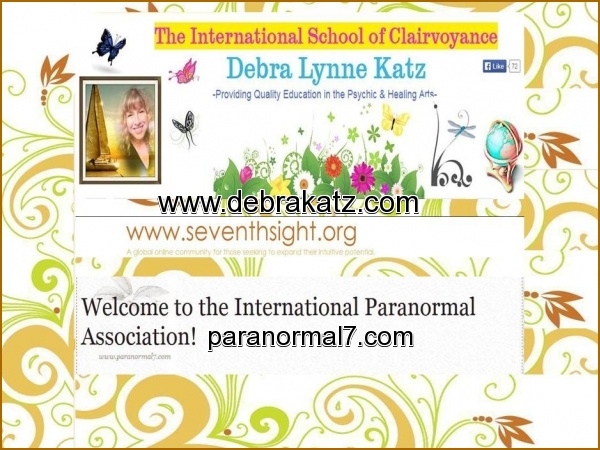 Debra is the director/founder of The International School of Clairvoyance and Founding Editor of Where Angels Take Flight Publishing. She loves helping people discover new wellsprings of intuitive/creative talent within themselves and taking them to new levels of growth and discovery in their lives that make them excited to be alive. Join Miss Paula of KDCL Media at the 2nd Annual Blue Star Holistic Expo at the downtown Cumberland, Maryland, Holiday Inn from 10am to 4pm. Sponsored by Assurance Records and Publishing, publishers of Curtis and Grammy, the Expo features author Robert Harding along with 58 vendors representing many aspects of the holistic and spiritual consciousness community. Sample everything from organic pet supplies to paranormal investigators at the Blue Star Holistic Expo. Monday, April 1st, 8pm edt, Candelo Kimbisa welcomes members of Cressona Paranormal to Candelo’s Corner on KDCL Media. Cressona Paranormal is a team of Paranormal researchers and investigators from Cressona Pennsylvania . We are NOT “Ghost Chasers” they are simply out doing it for the thrill. Ask yourself this question. Would I take my car to a mechanic that doesn’t own any tools or have any experience? I’m sure the answer is no. Then why would you let just anyone into your home or property? We know how to deal with all levels of activity. Our experience has proven that a simple basic investigation produces better results. We do not use Ouija boards, just a pure scientific approach. We use proven methods to remove any Spirits from your location if that is your decision. Many times clients have mentioned they are skeptical of an investigation for fear of us drawing out new or increased activity. We only address the claims and Spirit activity that is already currently happening and will not draw out anything new. If you are experiencing unexplainable activity in your home or business, we are available to help. Jim is very knowledgeable of electrical, plumbing and carpentry. This is a huge asset to the team as we are able to debunk or explain many claims as real material issues not paranormal in nature. The banging your hearing may only be a unsecured pipe in a wall or basement. We offer this FREE service to anyone who feels they may have any paranormal activity in their homes, business or property. Why is this free? We enjoy investigating and helping others understand our field of research. We will come to your location and perform an investigation using our state of the art equipment and investigative techniques. We use a scientific approach to seek the truth with our equipment. We will attempt to contact and record any Spirit energy that is active at the location. We do prefer the property owners are present for the investigation. It is our belief that the environment should be the same when we investigate as it is when the activity is occurring. We do ask that small children are not present. Our goal is to make our clients once again feel comfortable and set their minds at ease. Our members are experienced investigators that are very considerate of your privacy and your property. After our complete investigation we will review all audio and video and either present your evidence on our website with your permission or deliver it to you on a CD and review our findings with you in person and advice on how to deal with any activity you may be having. 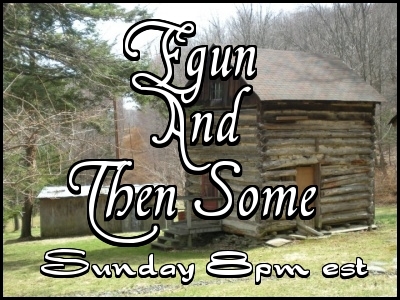 Egun And Then Some… Brings You S.C.A.R.E. Welcomes Dave Allgood of S.C.A.R.E. 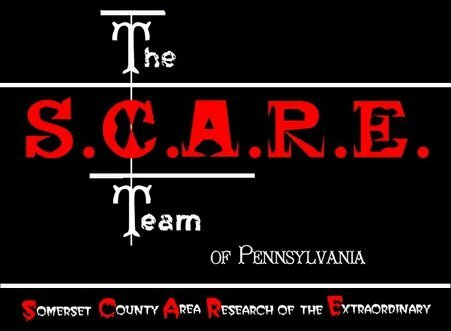 team of Pennsylvania, Somerset County Area Research of the Extraordinary is a paranormal research group dedicated to serving those in the Somerset County, Pennsylvania and surrounding areas with “Extraordinary” situations. Founded in 2008, S.C.A.R.E. hopes to find the answers to what the world may find “frightening” and “unexplainable”. S.C.A.R.E investigate so the truth to the unusual can finally be found. S.C.A.R.E. Fair 2013 Paranormal Conference at Morguen Toole Co. in Meyersdale, Pennsylvania!, Friday, February 22.